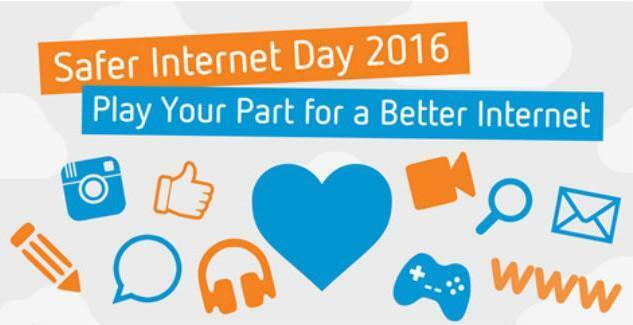 Safer Internet Day 2016 is taking place today, on the 9th February, with the theme Play your part for a better internet! 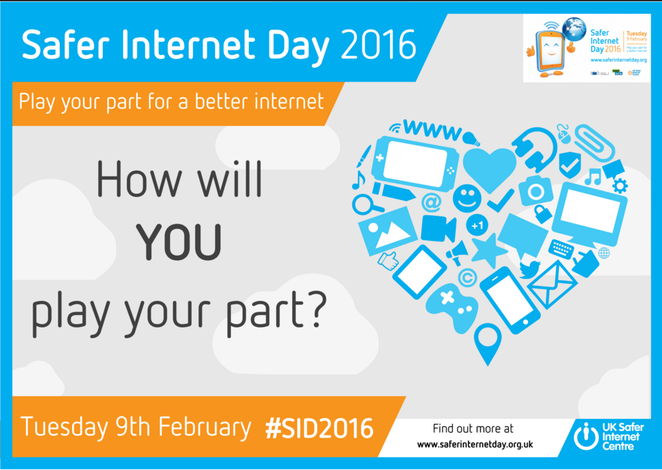 They will be joining hundreds of individuals supporting the #SID2016 social media campaign to play your part and #shareaheart, which is set to reach over 4 million in a mass tweet at 8am today. The day of positive action comes as the UK Safer Internet Centre launches a new report, Creating a Better Internet for All, that highlights young people's experiences of online empowerment and online hate. Schools across the UK will be using the UK Safer Internet Centre’s Education Packs and Safer Internet Day TV films to explore these issues, and later today the UK Safer Internet Centre will be taking a group of young people to Number 10 Downing Street before hosting an event at the BT Centre in London to hear young people’s perspectives. Together we can help make the internet a place of kindness and respect! 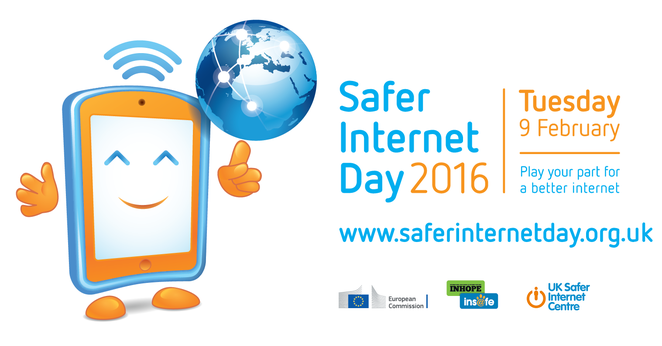 Here at Clare Mount, students took part in an assembly about safer internet day. They will be doing projects throughout their ICT lessons this week that highlight how to stay safe online and will be learning about themes of staying safe on social media, cyberbullying and what to do if something goes wrong online. As well as this, during form times, students will be designing 'safebots'. These are paper robot models that will carry a pledge about staying safe online with the best designs winning a prize.